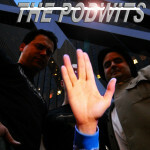 This week The Podwits boldly explore the life and times of the late Leonard Nimoy. The Star Trek star passed away this week and J. and Dion wanted to pay their final respects to their honored dead. Please join us as we celebrate Mr. Nimoy as part of our look back at what’s been happening over the past few weeks.